The Norwegian government has secured a majority in Parliament for its intention to maintain the country’s disputed au pair program. The program has resulted in many young women from the Philippines working as low-paid domestic servants in Norway, instead of functioning as the cultural exchange it was intended to be, and that’s made it a target of strong criticism. Despite a series of cases highlighting illegal abuse of the program, and funding cuts that forced closure of Oslo’s Au Pair Center, the minority government coalition’s two support parties have agreed to back the government’s desire to maintain an au pair program in Norway. The Christian Democrats and the Liberals have both criticized the program earlier, while oppostion parties in Parliament including Labour have called for the program to be shut down after repeated cases of its exploitation. The issue is due to be debated in Parliament later this week, and the opposition will be expecting answers as well. Member of Parliament Sveinung Rotevatn of the Liberals had earlier admitted, for example, that the au pair program has been abused and said the party “was more than willing to look at changes.” Fellow MP Geir Bekkevold of the Christian Democrats had even supported Labour’s proposal to replace the current au pair program with one that provides “real cultural exchange.” That’s now due to be voted down in Parliament, and both Rotevatn and Bekkevold are expected to be challenged. Bekkevold had also expressed hope that the current program could be tightened up to prevent the exploitation to which the around 3,000 au pairs in Norway are vulnerable. Court cases in recent years have uncovered au pair being subjected to long working hours, minimal pay, situations described as “Downtown Abbey” in Norway, and even sexual assault. Nearly all the au pair in Norway come from the Philippines and need money to send home to their families. Andersen said she, at the very least, will expect that the Liberals and the Christian Democrats have secured funding in the revised state budget to reopen a center set up to help au pair by the humanitarian organization Norsk Folkehjelp (Norwegian Peoples Aid). Its Au pair-senteret in Oslo was forced to close this spring after the government cut the NOK 3 million in public support that it had received. 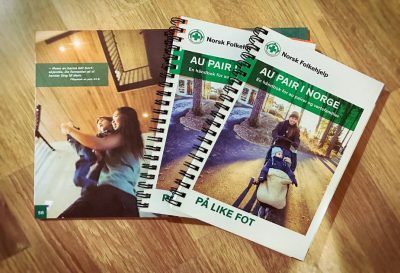 Henriette Killi Westhrin, secretary general of Norsk Folkehjelp, said she feared au pair abuse would increase after the center closed on April 1. It had been set up in 2012 in cooperation with the trade union federation Fagforbundet and at the request of Norwegian authorities, after several “ugly cases” of au pair abuse had been presented in the media. Now the parties in Parliament may at least be able to reinstate funding for the au pair center if the au pair program is to continue. One of the most prominent cases of au pair abuse recently resulted in convictions and jail terms against a wealthy Oslo couple. The case is currently under appeal.